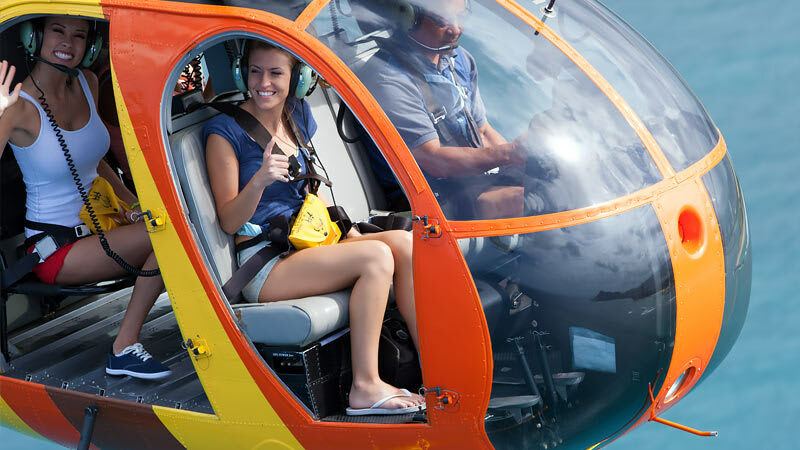 This doors-off helicopter jaunt takes all the splendor of a sightseeing flight over Oahu and peppers it with a whole lot of adventure! Out of Hawaii’s many important cultural exports, I think we can all agree that the most significant is Tom Selleck’s glorious moustache. If you’re a Magnum P.I. 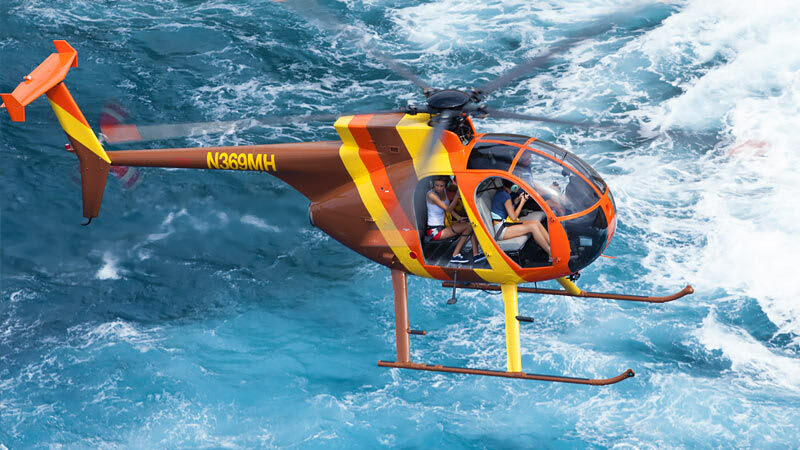 fan, know that this flight has you travelling in the same helicopter that appeared on the show! 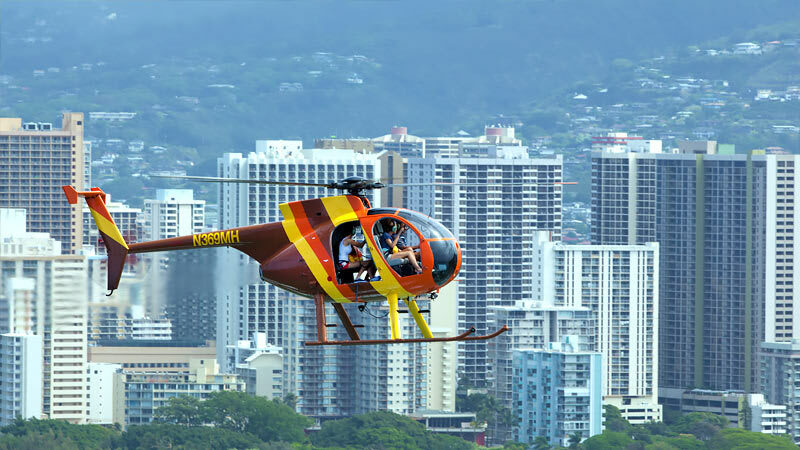 For 50 minutes, feel the fresh Oahu air brush against you as your camera takes aim at some of the island’s most famous sites. 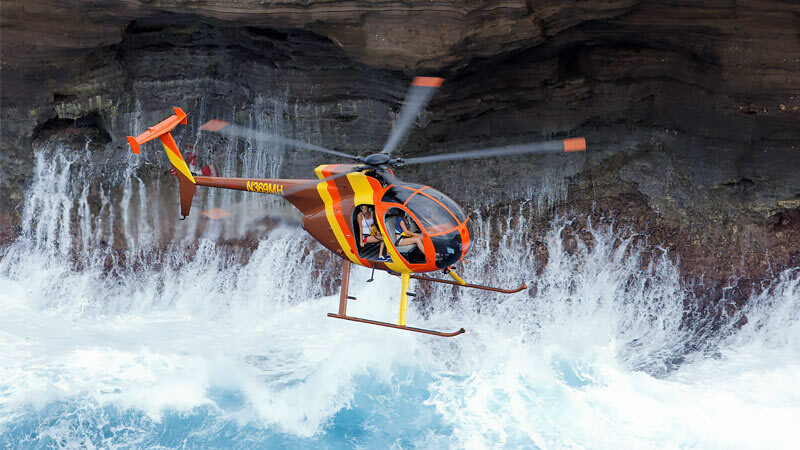 Get unrivaled views of the Pacific’s perfect blue waters (keep your eyes peeled for whales and sharks! 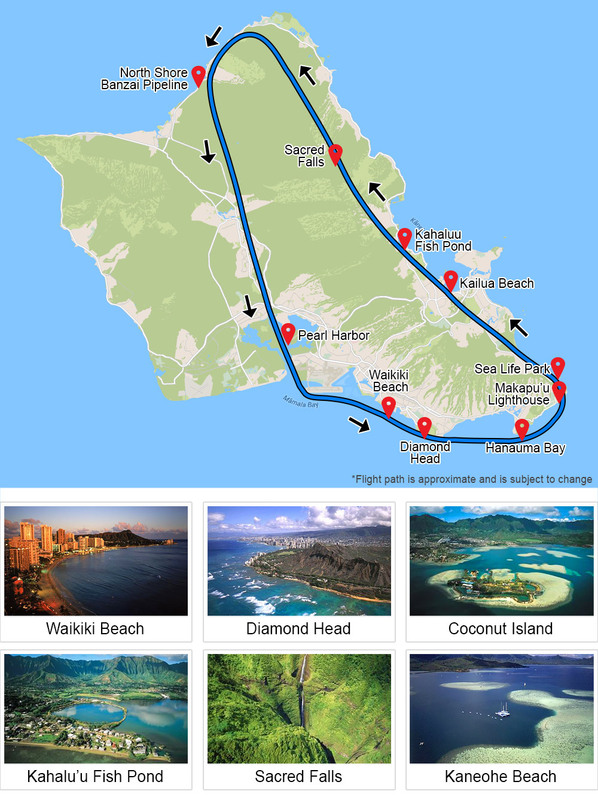 ), downtown Honolulu and more! A particularly attractive ride for photographers, flying with the doors off means cleaner shots and more vivid colors. 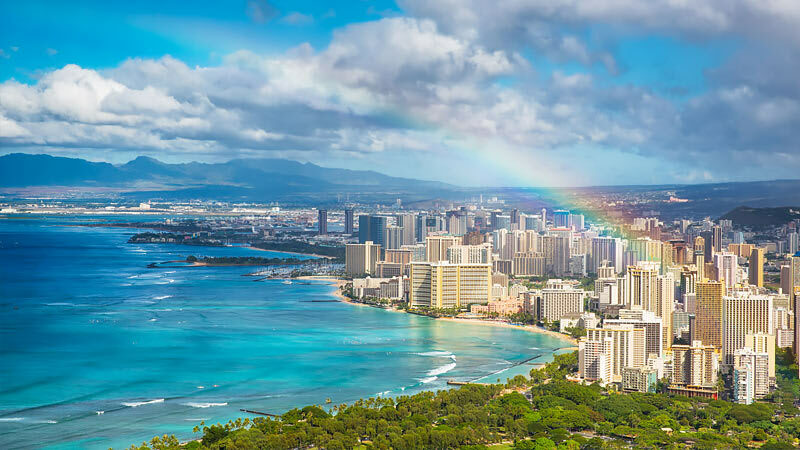 And with Hawaii being the most colorful of our 50 states, you’re in for some National Geographic-tier photo opportunities! My original tour date was cancelled due to adverse weather. But no worries. They made the best arrangements possible for me and my schedule. I went up the next day. The staff is well experienced and professional. The pilot was phenomenal. Not only in his skills, but his knowledge of the island. His sense of humor helped me relax being it was my first time in a helicopter. Jordan our Pilot was awesome and super fun and knew his stuff about the island. Super helpful and included all his passengers in the adventure. I was very satisfied, felt very safe and had an awesome experience. Jordan was a fantastic pilot, very informative and fun. Even when we hit a bit of heavy rain, the ride was smooth. I would HIGHLY recommend this tour!